During Summer break my go to accessory was a necklace, but since my break ended a month ago and work has resumed my favorite accessory has become the watch. With my schedule I am constantly looking at the time, checking the progress of our lesson. Are we going to have time to finish what I had planned? Are we going to finish early? Will we have time to discuss this as much as I want? Will I have to use my backup task because we are flying through this? Is it time for lunch or my break? Time plays a major role in my job. I need to keep my students engaged and on task for the short 50 minutes that I have them. I have to use all of my time with them wisely so that they can learn the concepts and skills that I need to teach them. I have to plan my lessons keeping timing and pacing in mind. Is this going to last too long and the kids become bored? Is it enough time for them to grasp the concept? Even with the best plans made, things can change instantly when you actually go to implement them. Students may surprise you and get something so much faster than you thought, which will speed up your plans, or there might be a misconception that totally confuses everyone and you have to use more time to work through it. When I'm working a watch is my best friend. I have to keep track of the time that I have with my kids so that I can make every minute count. Before I head out the door every morning I slip my watch on. On those days that I forget because it was a hectic morning, I am thrown a little off balance. Instead of a quick glance at my wrist to check the time, I have to constantly twist and turn my head to find the nearest clock. Life is so much simpler with a watch on. 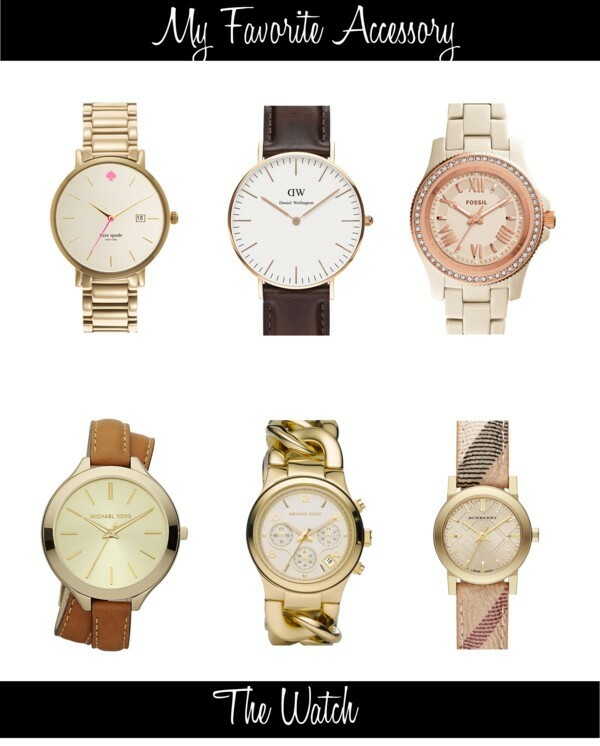 As you can tell from the polyvore above, I tend to gravitate towards neutral watches. They go with any look. Right now my favorite that I own is a white Fossil watch. I have had my Fossil watch for several years now, it was a Christmas gift from my mom and dad. My other favorite brands for watches are Kate Spade and Daniel Wellington. I love how simple and classic the Daniel Wellington watches are. Kate Spade watches are beautiful and always have a fun twist on them. What's your favorite? These picks are really pretty! 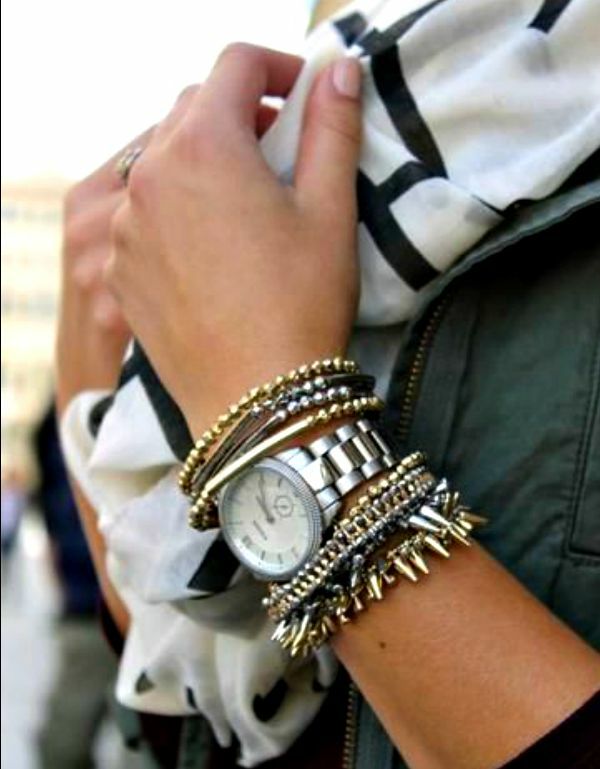 I always wear a watch and I tend to gravitate towards neutrals as well.